ESO Supernova Exhibition — What are ESO's biggest discoveries? What are ESO's biggest discoveries? Using ESO telescopes, astronomers have made revolutionary discoveries in almost every field of astronomy, from the stars in our own backyard to galaxies at the edge of the observable Universe. 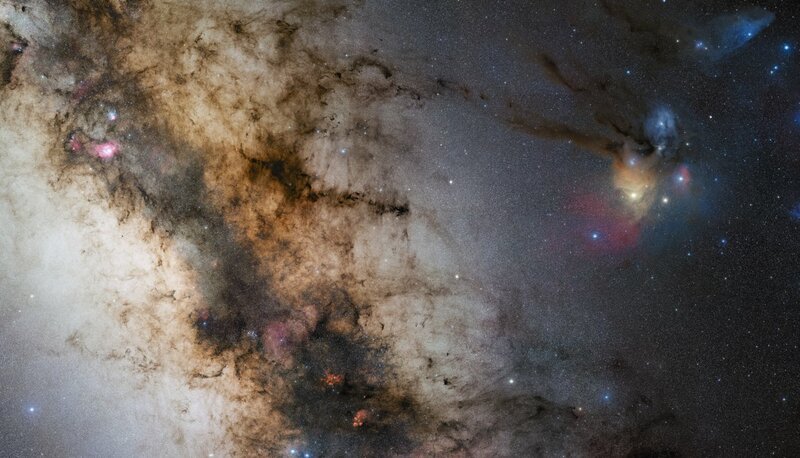 Black monster: Hidden among stars and dust clouds in the centre of the Milky Way lurks a supermassive black hole. Credit: ESO/APEX/2MASS/A. Eckart et al. Grey eminence: Globular cluster NGC 6397 contains some of the oldest known stars in our Milky Way galaxy. Many groundbreaking discoveries have been made using ESO telescopes: observing the first light from a gravitational wave source, the first image of an exoplanet, the acceleration of cosmic expansion - all have involved ESO facilities. 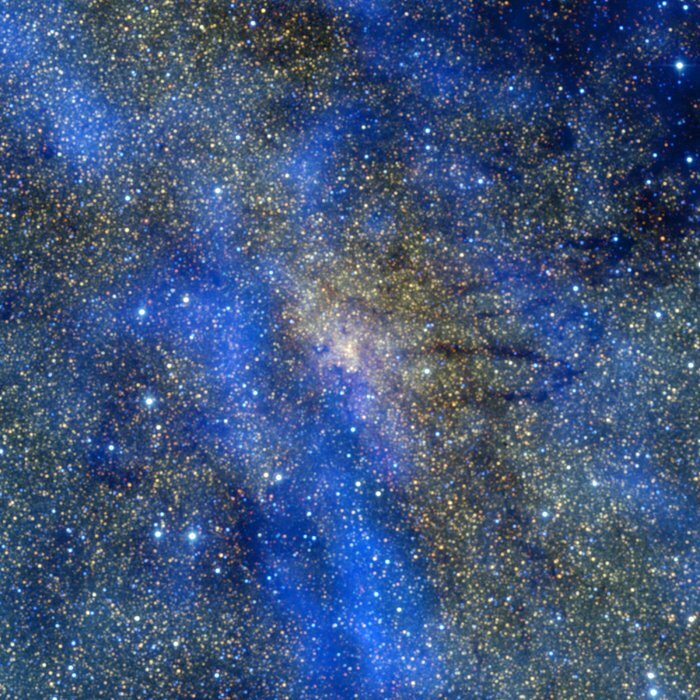 At ESO's observatories, astronomers have also studied the stars orbiting the supermassive black hole in the Milky Way's core, obtained the most detailed image of a planet- forming disc around a baby star, and helped solve the riddle of gamma-ray bursts - the most energetic explosions in the Universe. 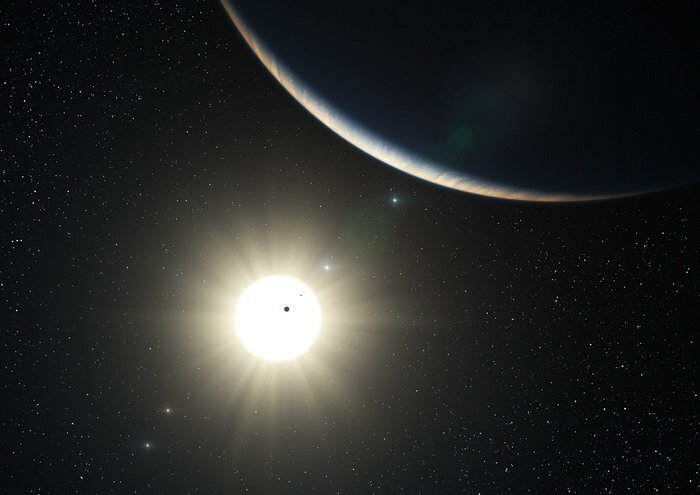 Plenty of planets: At least seven and possibly nine planets orbit the Sun-like star HD 10180, as revealed by ESO observations. Fading glory: ESO’s Very Large Telescope captured the fading afterglow of a luminous gamma-ray burst. ESO has some of the best telescopes in the world. Little wonder that many important discoveries have been made at ESO observatories. But we live in a mysterious Universe and there’s still a lot to discover!